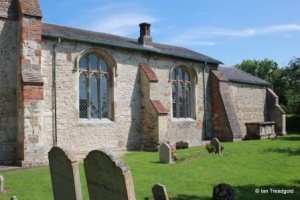 The parish church of St Guthlac is situated in the hamlet of Astwick north of Stofold. 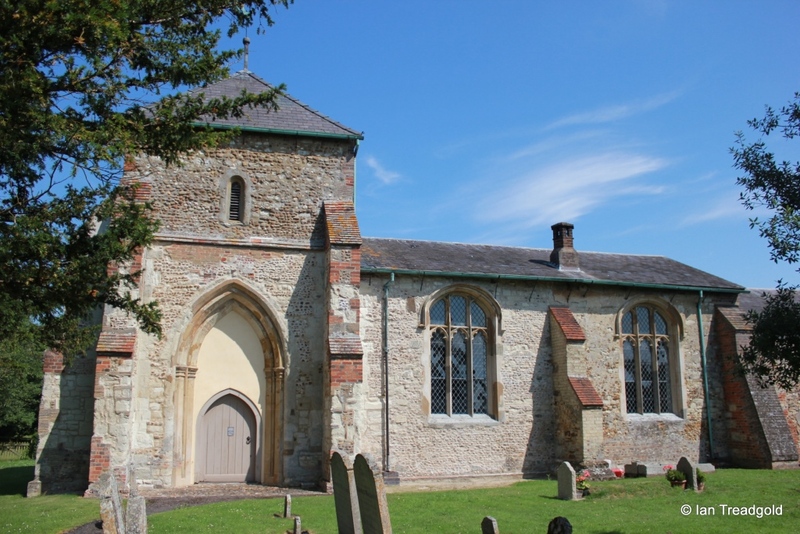 The church is easily missed and is accessible from the Astwick Road through a gate in the hedge leading to the church. 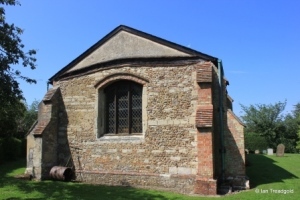 The structure of the architecture of St Guthlac's is at face value quite simple but belies considerable confusion as to the layout of the original building. 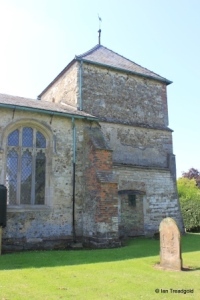 In essence the church consists of a nave and chancel with a west tower forming the end of the nave with a south porch in the tower. 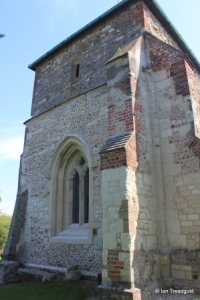 The tower however, especially on the south side, shows signs of being part of a much larger structure with the potential for being at the centre of a transept with arms to the north and west. Little evidence remains unfortunately and so the mystery of the layout of earlier buildings on this site must remain. 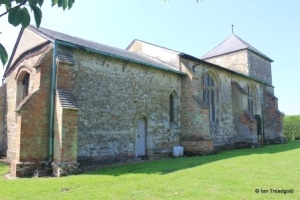 One thing that is clear is that much of the church has been rebuilt with extensive re-use of existing masonry giving an impression of a church in a poor state of repair. The full length of the church including the chancel is some 35 feet and around 18 feet across the nave. The tower is around 32 feet high and holds a single bell. 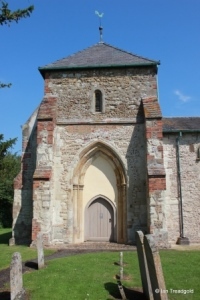 The south side of the tower houses the current main entrance with the large arch that implies a transept forming a porch like structure. 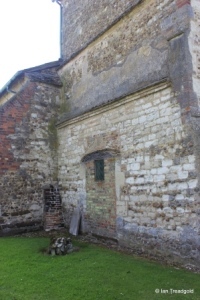 The middle photograph shows the west window whilst the third shows the bricked up north door to the church. The north side shows the bleakness of the brickwork and the extensive buttresses which seem out of keeping for a church of this size. The east window provides the only effective light into the chancel and even here the buttresses are of different heights and made of different materials. The south wall complete with incongruous looking chimney. Page last changed 02/09/2014. Reformatted 03/08/2015.